It’s All There in Black and White: Such Drama! Such drama! 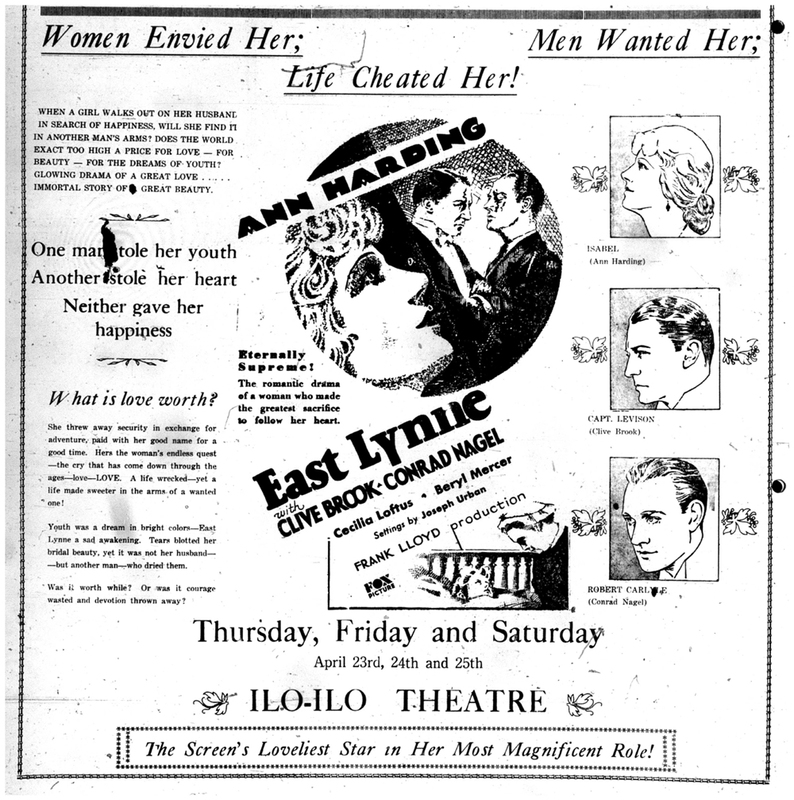 Just for fun – an advertisement for a film at the Ilo-Ilo Theatre printed in the Courtenay Free Press April 21, 1931 edition.